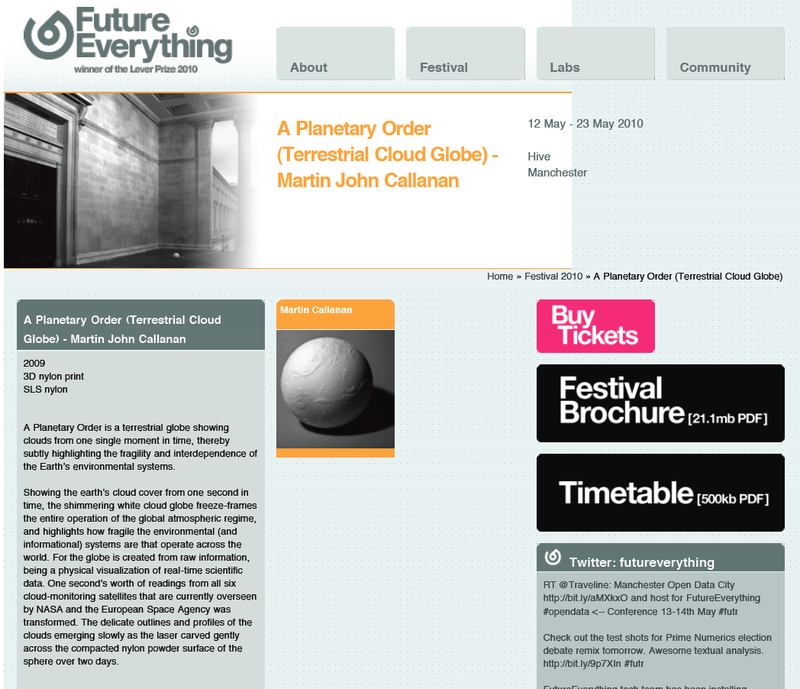 FutureEverything, taking place 12-15 May in Manchester UK. Expect world premieres of astonishing artworks, an explosive citywide music programme, visionary thinkers from around the world, and awards for outstanding innovations. Serendipity City: The FutureEverything 2010 main exhibition, featuring architecture-inspired art, a curated selection of city-drifting iPhone and Android apps, jaw-dropping data visualisations including Martin John Callanan’s A Planetary Order, and a selection of FutureEverything 2010 Award nominees. 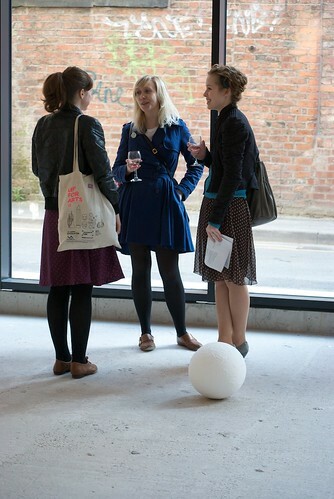 The venue is The Hive (47 Lever Street, Manchester M1 1FN), a spanking new Northern Quarter location.